When you think of purchasing a boat, the first things that come to mind are center consoles, sailboats, bowriders, catamarans, and other typical boats that are ideal for relaxing or fishing. However, the rigid inflatable-hulled boat or RIB boat can be just as useful as other boats. In fact, a RIB boat has a number of benefits that anyone looking to get on the water can appreciate. You’ll find that while RIBs may appear to be nowhere near equal to other types of boats, they’re actually one of the most multifunctional boats currently in design. You’ll find that whatever you need out of a RIB boat, you’ll get it. A major benefit of the RIB boat is its high maneuverability. Its build allows it to track well and maintain a stable ride even through the roughest of waters. Their buoyancy tubes ensure that they’re practically unsinkable and makes for the smoothest of rides. The decreased weight of the RIB boat makes them very responsive to whatever direction you turn. You can count on RIBs to handle better than practically any boat build out there. Compared to other boat builds, RIBs are extremely lightweight. One of their shining qualities, RIBs offer the power of larger center consoles and speed boats in a much smaller package. A RIB boat can maneuver in tight spaces at peak efficiency. Fisherman and marine professionals alike will find that they’ll get more out of a RIB thanks to its ability to reach places they never would have before. Shallow waters can easily be traversed due to the nature of the RIB’s build. In fact, RIB boats can be driven directly to shore where a team can pick up and move the boat while on land since it barely weighs anything. Rescue Operations: RIB boats can be deployed very rapidly due to their small size, making them ideal for immediate rescue operations. Their lightweight body allows them to speed towards the emergency area. When it comes to first marine rescue operations, you need a boat that you can rely on to get the job done in an efficient and timely manner. You’ll find all that and more with your RIB boat. 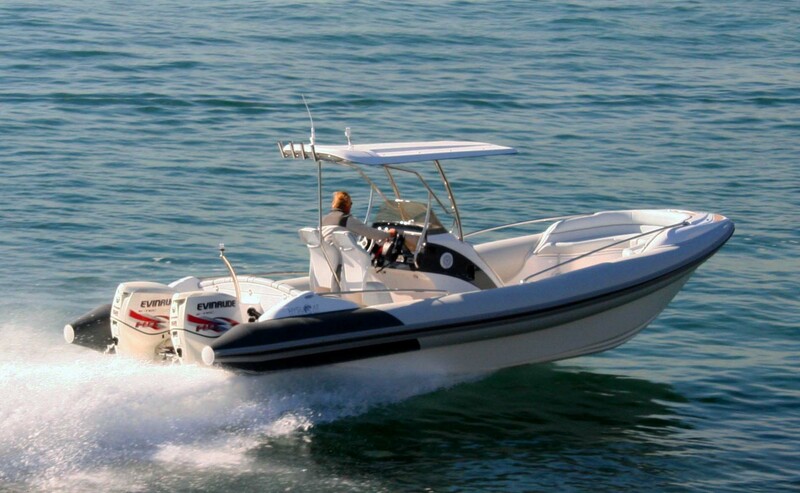 Fishing and Diving: Those interested in fishing and diving will love their RIB boat. Due to their high versatility and maneuverability, you’re able to get out deep quick. You can get to your fishing or diving spot right away, all while enjoying a comfortable ride. Military: Military RIBs are used on a number of missions and operations. RIBs are ideal for the military due to their lightweight nature, high maneuverability, speed, and reliability. Militaries around the globe utilize RIBs for covert operations and training exercises. RIBs can rapidly transport supplies and soldiers wherever they need to go in a flash, making them the ideal solution to whatever problem may arise. The RIB boat offers a number of benefits just waiting to be explored and utilized. If you’re interested in purchasing a RIB boat, contact Hysucat today. As the leading producer of hydrofoil RIBs, we guarantee the best RIB experience imaginable. Contact us today to learn more by calling us directly at +1 (252) 923-0430.